Original Limited Edition Mezzotint Etching on Rives paper, 1989. Paper Size: 21.25" x 15." Edition Size: 56, plus proofs. Signed and numbered in pencil by the artist. Excellent Condition; never framed or matted. Certificate of Authenticity included. Suggested Retail Gallery Price: $2,500. 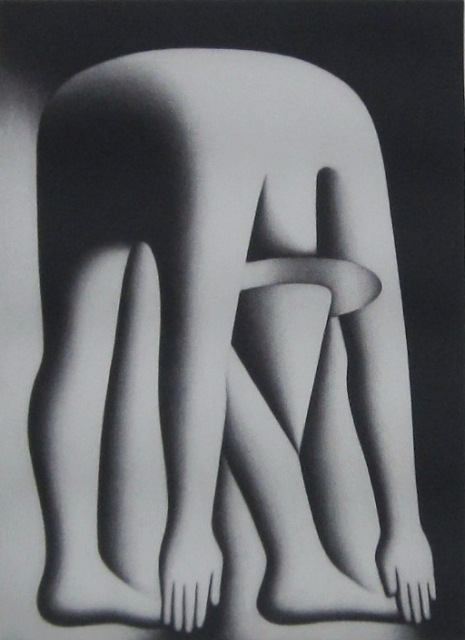 Click the button below to add the Fabulous Body by Jake, Ltd Ed Mezzotint Etching, Mark Kostabi to your wish list.